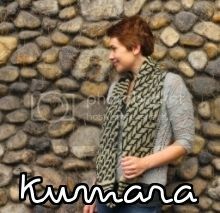 If Crocodile Dundee was the type to wear shawls, it would probably be this one. The overlapping decreases in the lace stitch create a scale like quality in the fabric and pair it up with an eccentric, hand-dyed yarn, you find yourself with a Nakahi (Maori for snake). 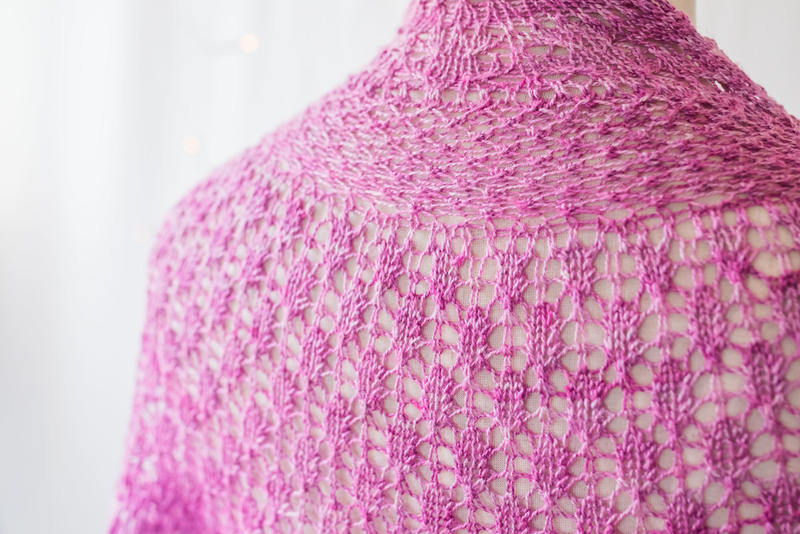 The lace pattern is easy to memorize, making for a great relaxing and mindless knit. This is also a quick knit due to decreases used to form the wedges, so the stitch count never gets overwhelming and you'll find that the rows just fly by. The Nakahi Shawl makes for a perfect accessory for those who love working with variegated, stippled or other eccentric color-ways. The shawl was knit up in The Yarns of Rhichard Devrieze's Peppino, in the color-way Visions of Paradise. To learn more about this eccentric little yarn and for a chance to win a skein of this yarn, see my video and written review here. The beta will be available as free download until December 11th, so make sure to save the pdf onto your desktop. All I ask in return is that you add the pattern to your faves on Ravelry! 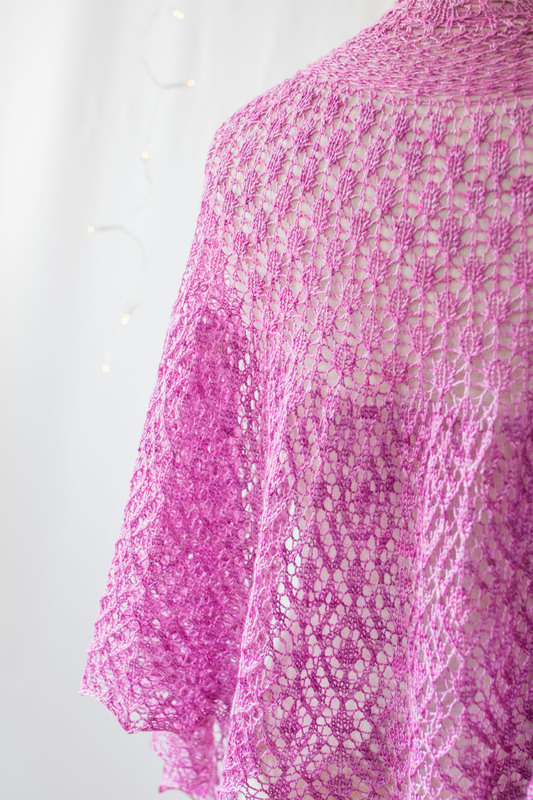 Sign up for the Newsletter for Knitters so you can receive notification of the official release and get an exclusive discount of the official pattern (and you'll get a free download of the SeaShell Shawl)! 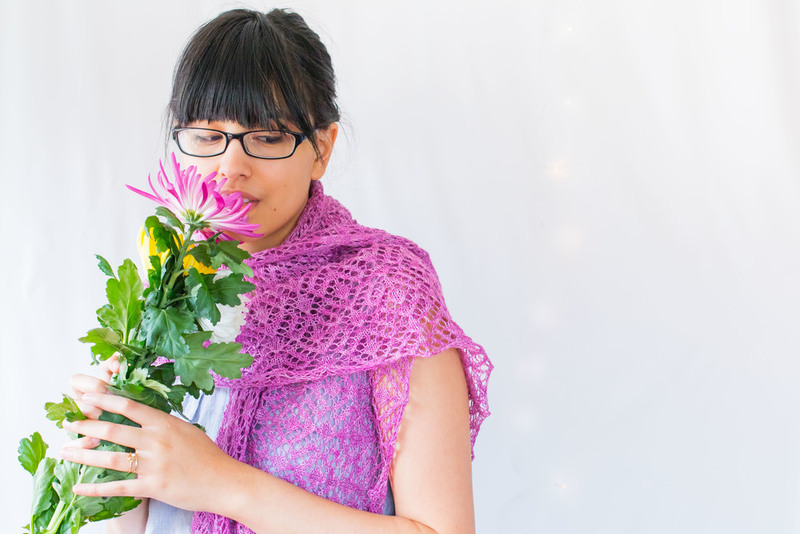 Additionally, I’m hosting a mini-KAL for the beta release of the Nakahi shawl to help you get your holiday knitting into gear. Whether you’re knitting for yourself or a loved one, knitting as a group really helps keep you on track and get your projects DONE! There will be prizes for those who participate! This mini KAL will run until December 21st, and the official pattern will be released live onto Ravelry December 28th. Please note that this will be a paid-for pattern (which will be tech edited, corrected for errors, contain updated photos). 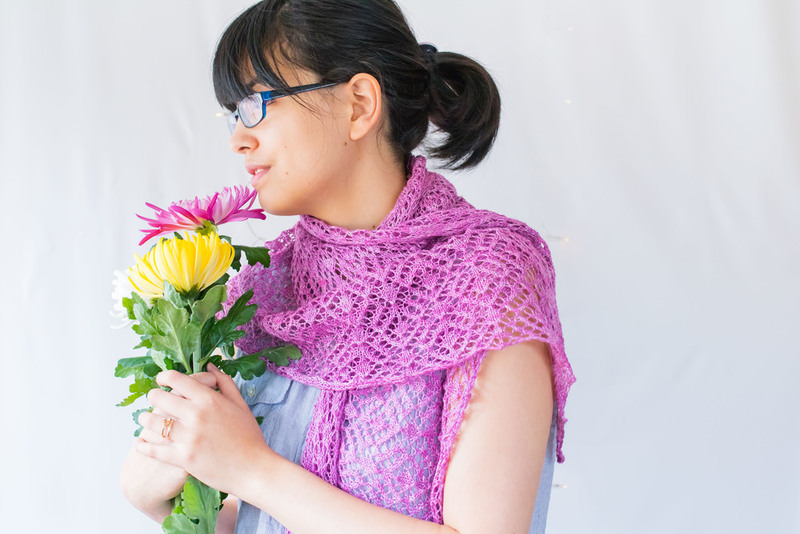 If you enjoyed knitting the shawl and want to support small indie designers, get the upgrade as a small thank you. As a small heads up, the mega ultra Indie Designer Gift-a-Long 2015 sale ends tomorrow. Use the code giftalong2015 to get select designs 25% off. Click the link to get your GAL pattern now! 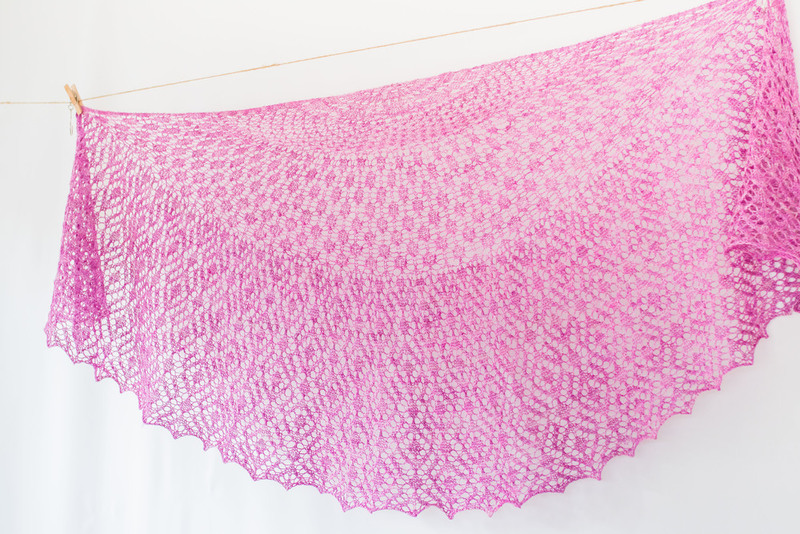 This is the last pattern release for this month: another one-skein wonder project, but this time it's a shawl! The Puaka Shawlette is a dainty, delicate crescent shawl knit top-down, featuring a textured stockinette body and an intricate lace border. It's certain to be a stunner! I'll be choosing three winners from entries in my Ravelry forum, IG and FB accounts. 1. Please join my Ravelry group! 1. Please like the FB page! 2. Leave a comment on the giveaway post (with your Ravelry ID). 3. For an extra entry, feel free to share the post (just let me know you shared it because FB doesn't always notify me of it!). 1. Please follow me on IG! 3. For an extra entry, feel free to share the post and tag me under the "Tag People" option (right under where you write the caption). That way I can better keep track of those entries. And that's it! I'll be announcing/contacting the winners the day of the pattern release!